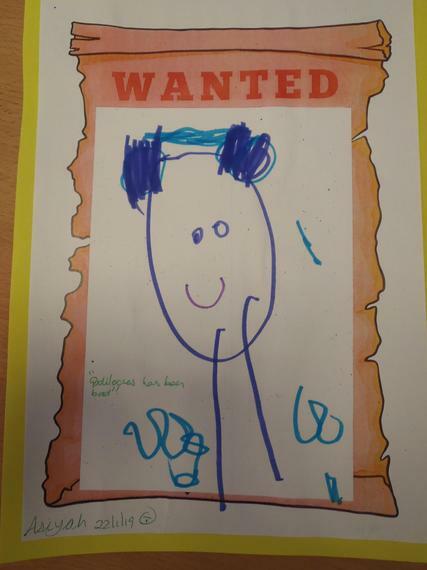 This half term we are learning all about people who help us such as fire fighters, police officers, doctors, nurses and our families. 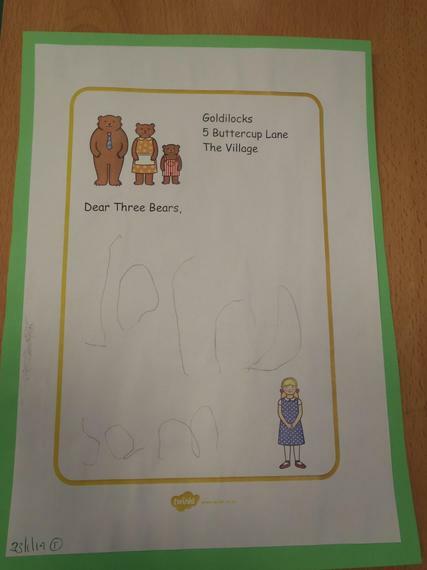 This half term we are reading traditional tales, such as Goldilocks and the 3 Bears and the 3 Little Pigs. 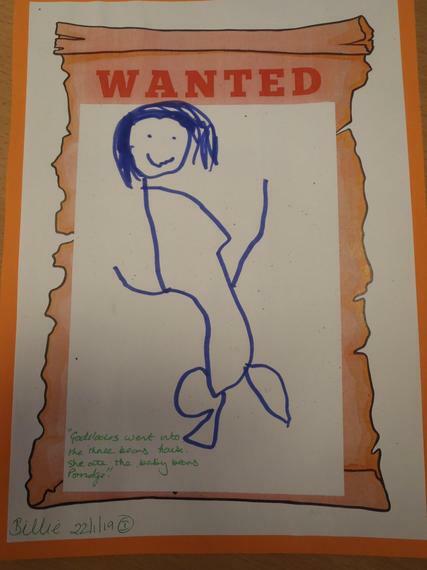 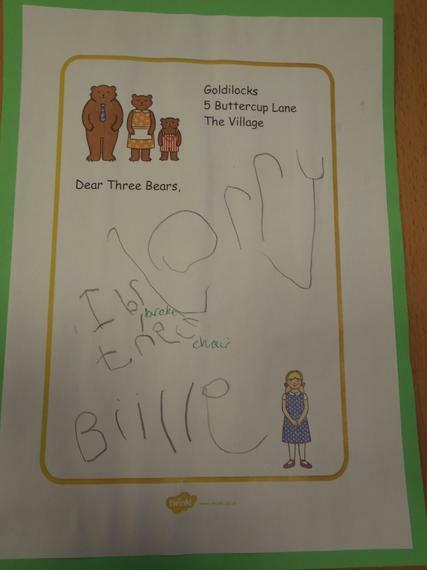 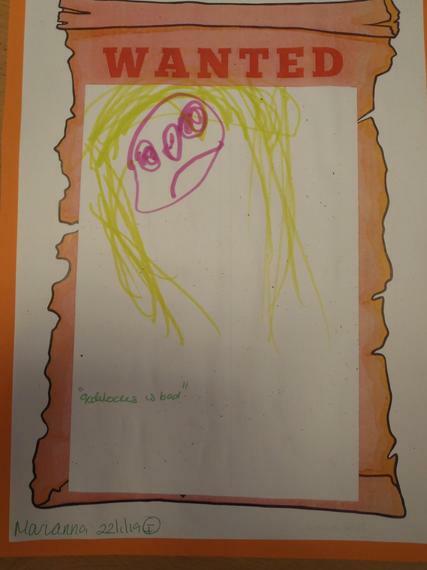 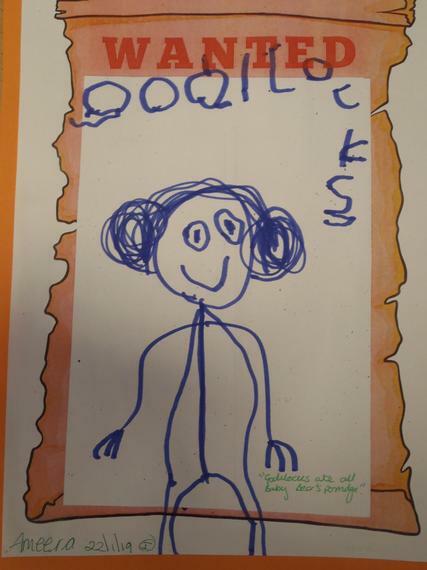 After acting out the story of Goldilocks we made 'wanted' posters to make sure everyone looked out for Goldilocks. 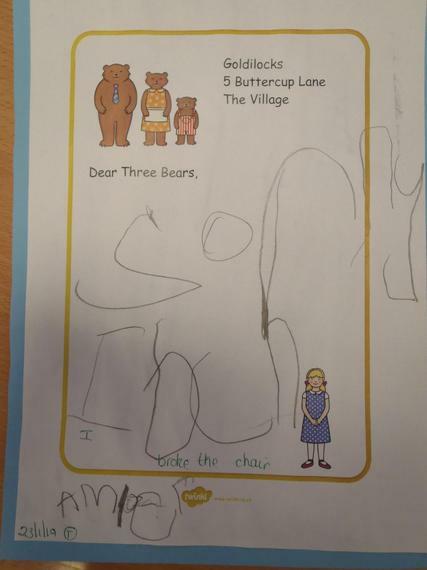 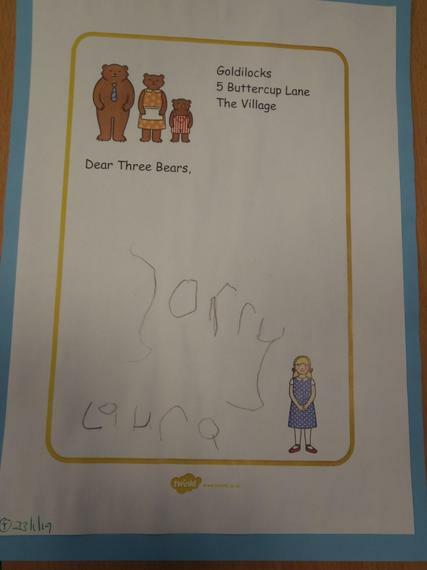 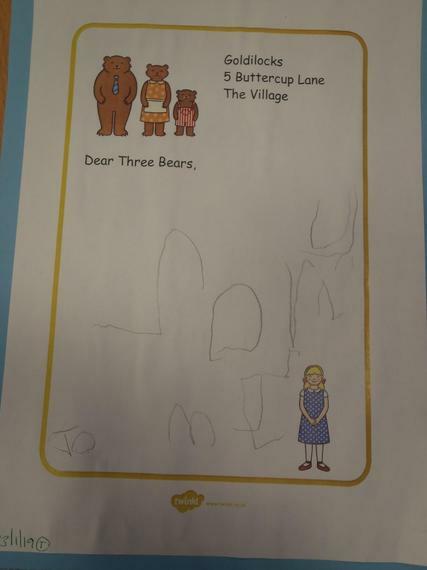 We also wrote letters to the 3 Bears to say sorry for Goldilocks eating their porridge, breaking the chair & sleeping in Baby Bear's bed.